With legalization on the horizon in many places, cannabis could accidentally reproduce a scenario other crops have faced for over 50 years: streamlining. Bold improvements in yield, logistical efficiency, or waste reduction pressured chemical companies and seed makers to engineer fruits, vegetables and grain that, in many cases, prioritize cash performance and profitability over the consumer’s experience. Variety usually comes at a cost of some sort, and it’s no different in cannabis. For instance, mother-plants take up a significant amount of many grows budgets and space. For many crops, the number of commonly available cultivars has experienced a drastic reduction over the years, and today, the apples or tomatoes you find across the world are much less diverse than they were a few decades ago. Notably, today’s fruits, vegetables, and cereal crops globally consumed are increasingly grown from patented varieties or cultivars. Many of them are genetically engineered (GMOs), particularly cereals and grains. The cannabis landscape is currently rich with thousands of different varieties. In addition to the numerous landrace “strains”, breeders have also managed to develop hybrid cultivars in an informal and organic fashion. Without intending to do so, cannabis breeders have pioneered the now-popular concept of “open-source”, following an untold code of conduct. But in our bid for legalization, we’ve incidentally introduced a new threat: large corporations may start taking over cannabis genetics from the people who spent their entire lives building this industry. And the same folks may facilitate the corporate takeover while trying to protect us against it. 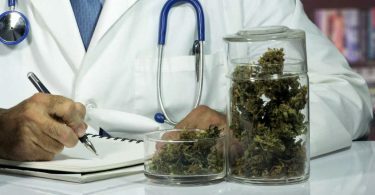 Both the Canadian Food Inspection Agency (CFIA) and the US Patent and Trademark Office (USPTO) have started granting patents on cannabis cultivars. We saw this happening with other plants before… Should we expect a different outcome for cannabis? Most, if not all, current cannabis cultivars are in the public domain and cannot get legal protection. Patents in the world of cannabis will likely make growers and farmers dependent upon large seed makers (usually chemical companies), having to comply with license agreements and probably even royalties. Eventually patents result in a locked genetic landscape, where innovation becomes rare and costly, and products eventually standardize. For exclusive rights over a plant (Plant Variety Protection, Plant Breeders Rights or Plant Patent) to be granted, an applicant has to go through a certain process. The cultivar cannot be considered to reside in the public domain, and there are a multitude of reasons that most cannabis varieties may not even be eligible. Additionally, the cost is not limited to application fees, but also includes lab tests, IP agent fees, and more. Once you have your “patent”, you are obligated to challenge any infringement on your rights and therefore spend even more money, or else risk losing your patent. It’s financially and practically impossible to enforce your exclusive rights over multiple cultivars without some very significant capital. And, as is the course of business, organizations innovating in a patent-driven industry tend to either absorb or get absorbed by other organizations, contributing to more concentration and more streamlining. While breeders may continue to operate on the fringes, this scenario implies the demise of mainstream cannabis breeders. Lastly, for a patented cultivar to be seen as economically viable, patent-holders need and want to enjoy the granted exclusive rights for as long as possible. Creativity and variety are the antithesis of this idea. If this becomes the norm, we may end up with a few hundreds patented cultivars generating the lion’s share of profits for a few large corporations and fewer introductions of new phenotypes, resulting in limited consumer experiences and patient treatments. The cannabis breeding ecosystem, as we know it, one that by its organic and underground nature has managed to remain resiliently prolific, could be at stake today. The most commonly observed alternative is a concentrated patent-based model. Cannabis breeders considering patenting their plants may be doing the paperwork for corporate takeover. Can we invent a new model? OUR model. A model that fosters creativity with an open innovation spirit, that values the concept of public domain creations over patent-driven restricted innovation. An open innovation approach to breeding is probably critical for the cannabis industry to reach its full potential. Patients and consumers are strain-aware, which is why introducing new varieties is a must for producers, processors and retailers to remain relevant in the market. This can be achieved via an open approach fostering a balanced relationship between breeders, growers, patients and consumers. The Strainly team, along with other contributors, are working on defining an open-source cannabis breeding framework for breeders to freely use and formalize the, so far, informal collaborative model that led us where we are today. Provided that they were acquired legitimately, anyone may freely use open-source cultivars – that is, grow, propagate, develop it further and use it for breeding. The cultivar and its developments may be sold, exchanged or given away. No one, however, may privatize (i.e. acquire exclusive rights over) the cultivar and its developments – the license would exclude patent and plant variety protection. Each recipient assigns the same rights and obligations to prospective users (breeders / growers) of the cultivar and its further developments. Any cultivar issued under this framework would be secured in the public domain, free to propagate, breed and enhance by anyone in legitimate possession of it. Any entity wanting to patent or obtain Plant Variety Protection over such a cultivar would be prevented from doing so. When commonly used across the industry, such a framework would leave very few cultivars eligible for patenting or exclusive rights. Strainly provides a peer-to-peer cannabis strains exchange web app improving access to cultivars. Strainly allows legal cannabis growers and breeders (medical or adult use) to trade seeds, clones, tissue cultures or pollen and have easier access to a variety of cannabis strains to grow and breed. Whether looking for indicas, sativas, hybrids or even ruderalis, users can browse, filter and find their cultivars while benefiting from a rating/reviews mechanism, fostering trust among the community. Strainly is one of the only platform allowing growers to search cultivars based on cannabinoids concentration and terpenes combinations. What Makes Cannabis Plants Purple ?